Today we are sharing Top websites in the world by their traffic rank and percentage, Any guess who is on top, yes you are correct Google.com is the top internet leader, it is serving around 49% web traffic. Facebook.com is on 2nd number, traffic on this social networking site is 41%. 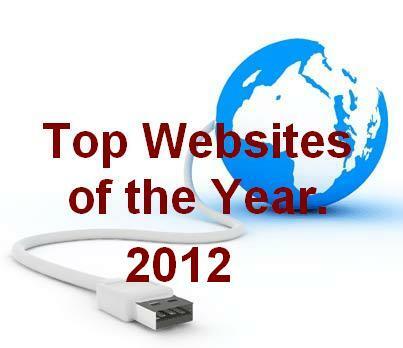 Please see below detailed list of top 5 websites heavily used in the world. 1. Google.com: Initially started with Google Search and It was launched 14 years ago in the year 1998 publicly and has 33 thousands employees. Larry Page is the founder and CEO of Google. Companies mission statement is "To organize the world's information and make it universally accessible and useful". 2. Facebook.com: It is social networking site and was launched 8 years ago in the year 2004 and has 3 thousands+ employees. Mark Zuckerberg is co-founder of Facebook. It has 900+ Million users in the world. 3. Yahoo.com: It was launched 17 years ago in the year 1995 and has 12 thousands employees. Jerry Yang is the founder and CEO at Yahoo. The word "yahoo" is an acronym for "Yet Another Hierarchical Officious Oracle." 4. Baidu.com: It is Chinese search engine and It was launched 12 years ago in the year 2000 and has 16 thousands+ employees. Robin Li is founder of Baidu. This search engine is mainly popular in China. The name Baidu means "persistent search for the ideal". 5.Twitter.com: It is social networking site and was launched 6 years ago in the year 2006 and has 900+ employees. Jack Dorsey is the founder and CEO of Twitter. It has 140+ Millions users in the world. Bing.com is on number 9 and LinkedIn.com is on number 13.